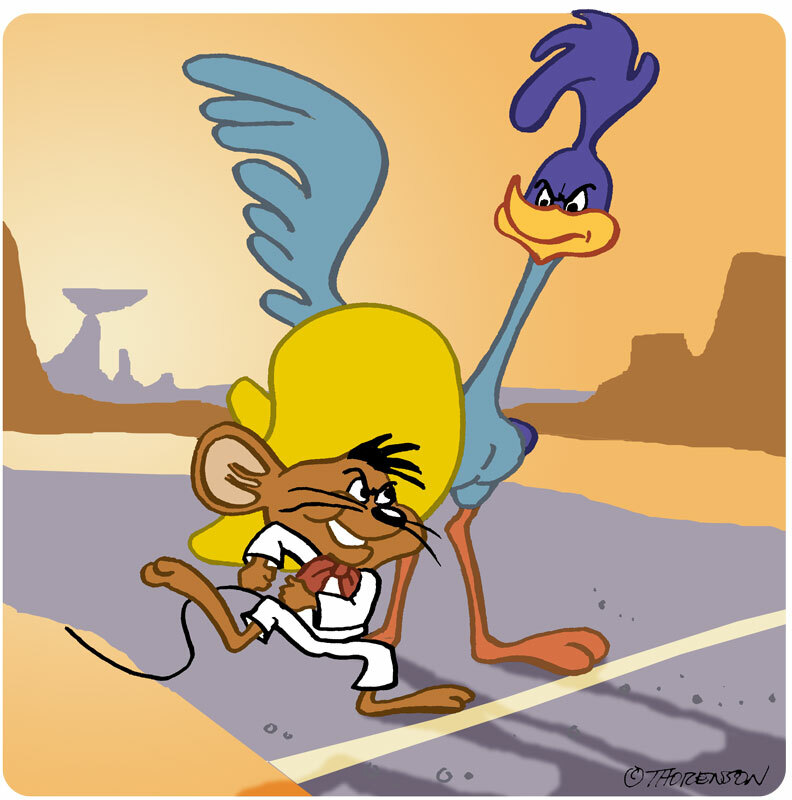 Who is faster – Speedy Gonzales or the Road Runner? Indeed it’s a match-up made in Looney Tunes heaven. Both are capable of ridiculous speeds in arid desert climates with no wind-up momentum required. They both can go from zero to Mach 1 in nanoseconds leaving nothing but a trail of dust behind them. We’ve become so accustomed to seeing them outrun Sylvester the Cat and Wile E. Coyote in their own episodes that we can barely ponder the thought of them being pitted against each other. A 1965 short entitled “The Wild Chase” did just that. I can’t believe that Warner Brothers never considered this crossover sooner. Fortunately they never reached Hanna-Barbera status, who was guilty of such shark-jumping to the point of nausea (Laff-A-Lympics anyone?). It ends in a head-scratching finish, but really, what does it matter? To ask such a question is really like trying to determine which SSD is the fastest.